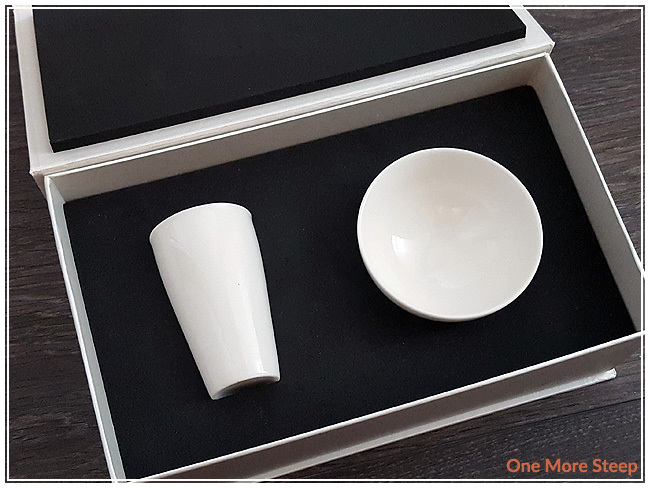 The Aroma Cup Set comes in beautiful packaging. 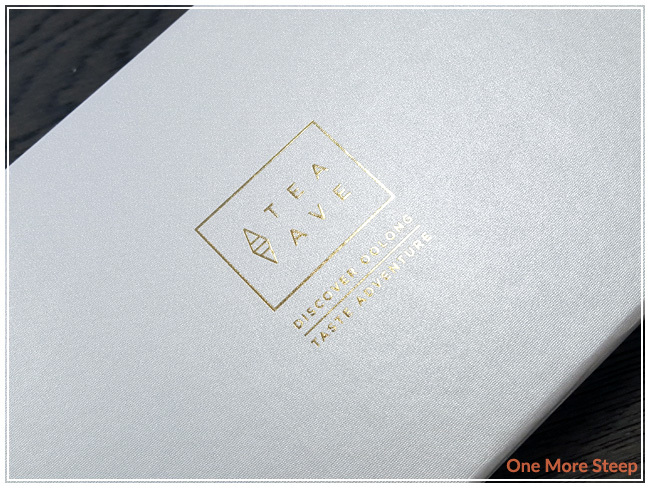 The box itself is sturdy with a lovely texture feel to the outside with the Tea Ave logo in gold. The box stays close due to magnets in the flap. So nice. The aroma cup (tall cup) and the sipping cup (short cup) are nestled inside of the box in a thick black foam cut out that keeps everything safe inside. When you pull out the cups, you can pull out the foam insert. Underneath is a thick piece of black cardboard with a hole for easy removal. Under that is the smooth oak tray. It’s really quite beautiful. The porcelain feels thick and durable, all with a smooth finish. The oak tray is light but feels durable in my hands. I washed the porcelain pieces with hot water (from the tap) to warm up the pieces before I used them in my first use with the set. I gave the oak tray a light swipe with a damp towel to get off any nonexistant dust on the surface. For my first use of Tea Ave’s Aroma Cup Set, I used a sample of Oriental Beauty that came in my order. I steeped this in my gaiwan for the recommended steeping time. 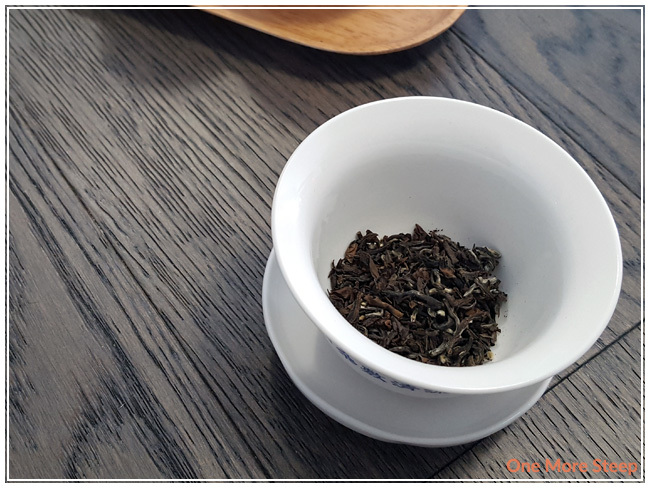 I have a review of Tea Ave’s Oriental Beauty if you’re curious about the oolong that I used. I poured the oolong from the gaiwan into the aroma cup. I let the tea sit for about 30 seconds before I placed the sipping cup over top (it looks like a mushroom). What you want to do is pick up both of them together and (holding them tightly together!) then flip it over so that the mushroom is upside down and the sipping cup sits on the tray. You could also pour it directly from the aroma cup to to sipping cup if you’re not confident in your cup-flipping skills. Safety first! After the flip, I let the cups sit for a little while (maybe about 15-20 seconds) before I gently lifted up the aroma cup at an angle. 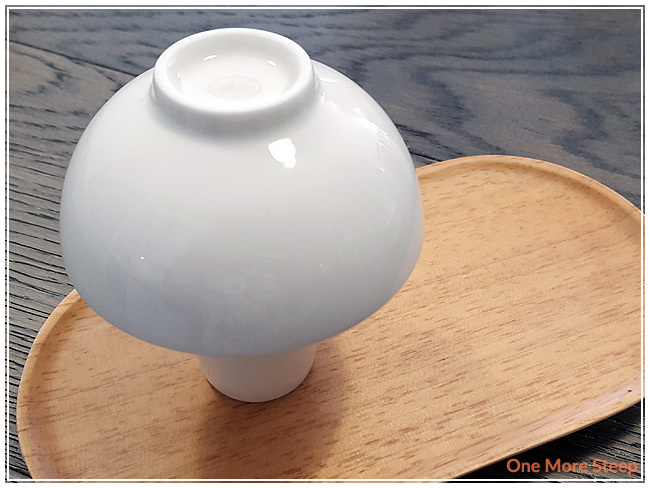 This allows the tea to fill the sipping cup without being a bubbly mess from the air entering the aroma cup. 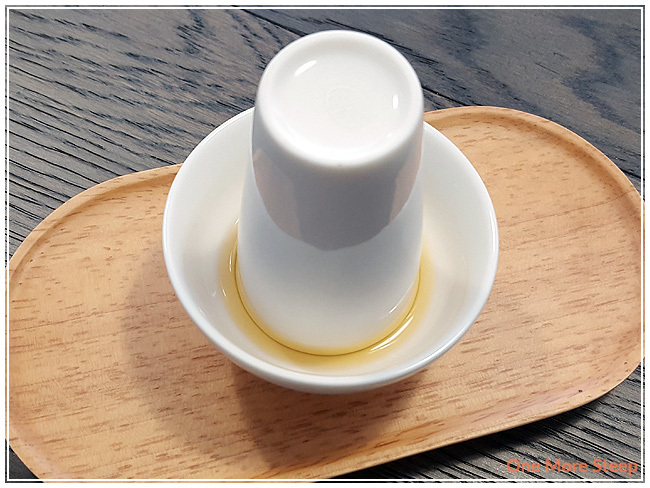 Once the tea is in the sipping cup, I alternated sniffing the aroma cup and taking a sip from the sipping cup. 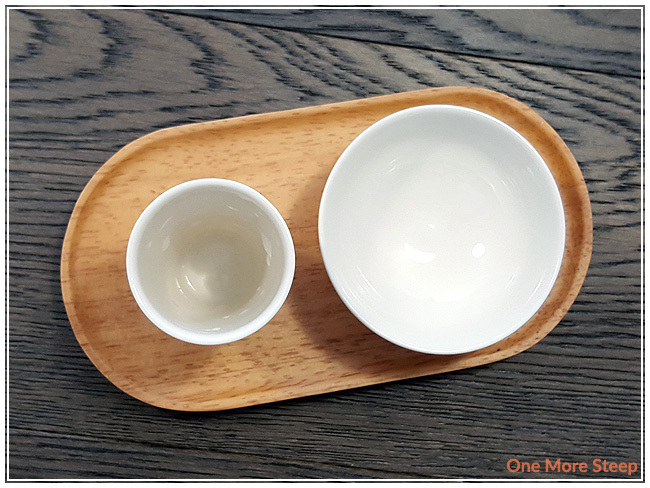 As the tea that remains in the aroma cup dries, the smell changes. For the Oriental Beauty, the smell in the aroma cup got sweeter and more floral as it dried. This adds an extra level of experience to a tea session. 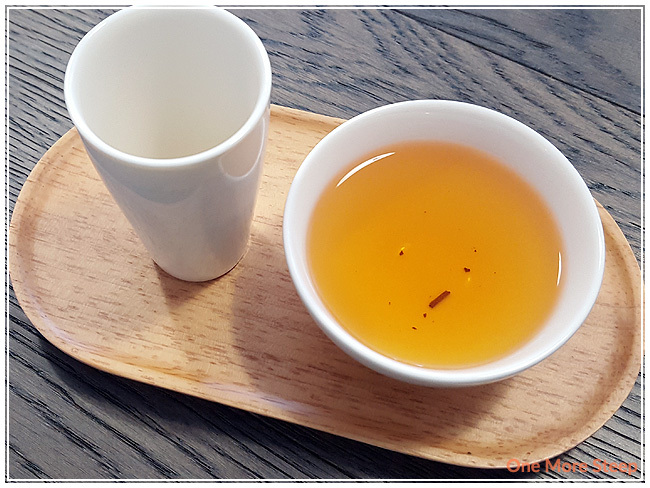 Aroma cups are generally used for teas that have complex flavour and aroma profiles, like oolongs. For an intense steeping session, you can continue to refill the aroma cup (and then transfer to the sipping cup) for as long as you’re steeping your tea. And for some oolongs, that can go for quite a while, especially the ones that hold up for multiple resteeps. 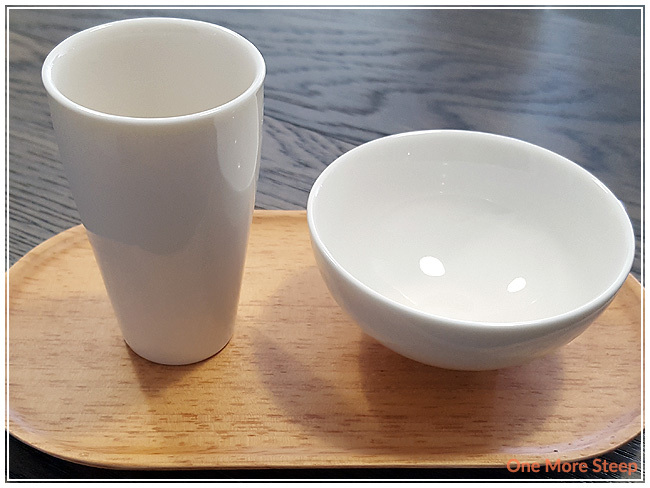 Tea Ave’s Aroma Cup Set is darling, useful, and fun. I think it would make a great gift for someone (or to yourself) because it comes in gift-ready packaging. 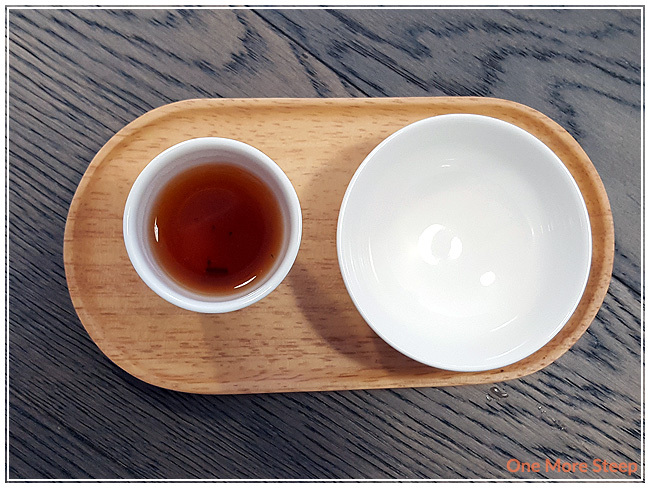 Using the aroma cup helps add an extra layer of experience to tea as you drink it, which I think is so important to exploring the nuances in teas – especially oolongs. I’ve used this set multiple times now and always with oolongs because I find those resteep the best, and if I’m going to pull out extra tea ware, I better be able to resteep my tea. 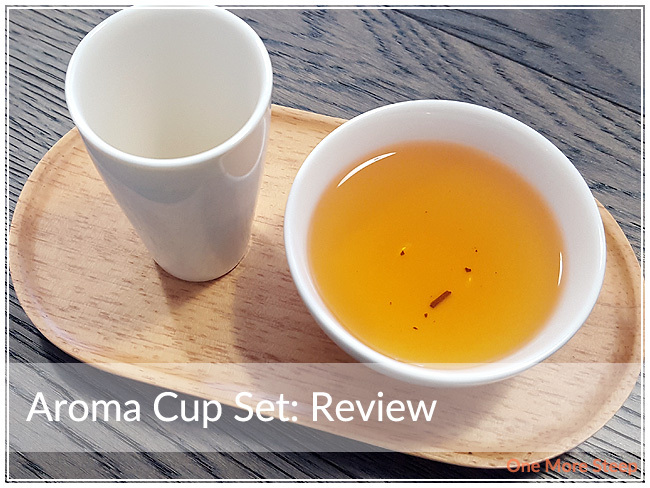 The presentation of the Aroma Cup Set made me feel like I was unboxing something luxurious, and the pieces feel like they’re durable and high quality.